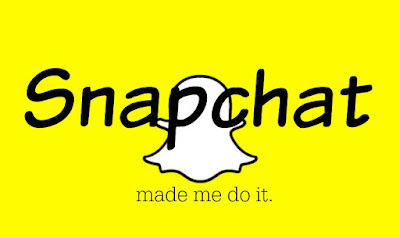 I Love You More Than Carrots: Snapchat Made Me Do It. As I looked around my kitchen last night, I couldn't help but notice a horde of things I had purchased because of seeing others use them and/or rave about them on Snapchat. I'm relatively new to Snapchat in so much as I've only been "snapping" for a couple of months or so (and still have no idea what I'm doing) but that hasn't kept me from making a mental list of things I wanted to buy, try, eat and wear thanks to some other savvy snappers. I'm usually pretty good at refraining from instantly purchasing something when I come across it on social media (I learned that lesson well after the chevron craze) but I'm blaming the recent arctic temperatures and less than stellar attitudes of my three little heathens for my most recent purchases. Perhaps you're in need of a little retail therapy too in which case I'm happy to be sharing my haul with you. 1. e.l.f. Lip Exfoliator Ever since I started adulting several months ago and applying my make up like a big girl, I've been looking for a good lip scrub to use instead of my previous method of warm water and an old toothbrush. 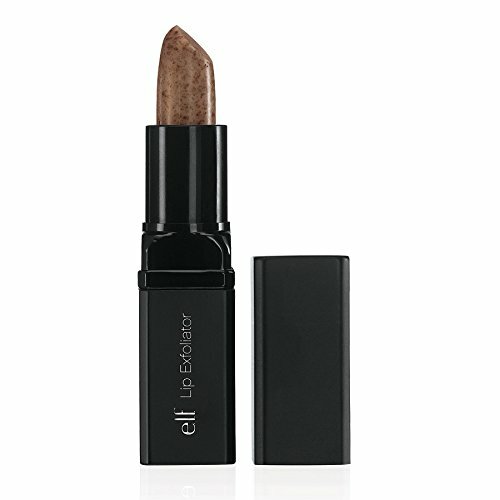 I had been eyeing the tinted LUSH brand lip scrub but wasn't super stoked about it so when I saw someone post about this clear exfoliator from e.l.f, I didn't hesitate to click "buy" on Amazon. I love that it's in a lipstick tube and how I can roll it on without using a brush or my fingers. It goes on smooth and does the trick beneath the lipstick I wear each day. Love it! 3. 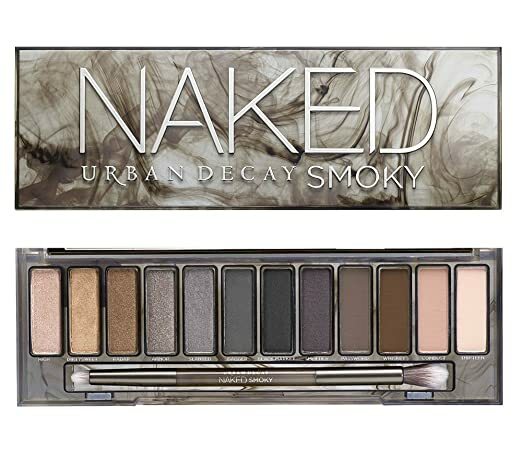 Urban Decay Naked Smoky Palette I love following Meg O. on Snapchat and Instagram mostly because I want her to come do my makeup for me every morning. I've followed Meg for YEARS and met her at a blogging conference a while back and she continues to be one of my daily reads. When my original Naked palette finally bit the dust, I purchased this one and I'm so glad I did! Now when I have fifteen minutes to myself each day I chug hot coffee and play with make up and I'm a much better mother for it. 4. Coffee Break Bliss by Chobani Flip Snapchat didn't introduce me to the Chobani Flip but it did make me try this new flavor and I'm downright obsessed. You had me at biscotti bites and chocolate chunks and this may or may not have been last night's dinner. So good. 5. TOMS Majorca Peep Toe Bootie Okay, so I didn't buy this one for myself but I did slyly suggest to my husband that it would make for an excellent Valentine's Day gift. It's no secret that I have a major bootie/shoe-tie obsession and with Spring on the horizon, I've been wanting to expand my collection to feature some Spring-worthy styles. Thanks to several stylish Snapchatters I follow, I'm hoping these make their way to my closet sometime soon. 6. 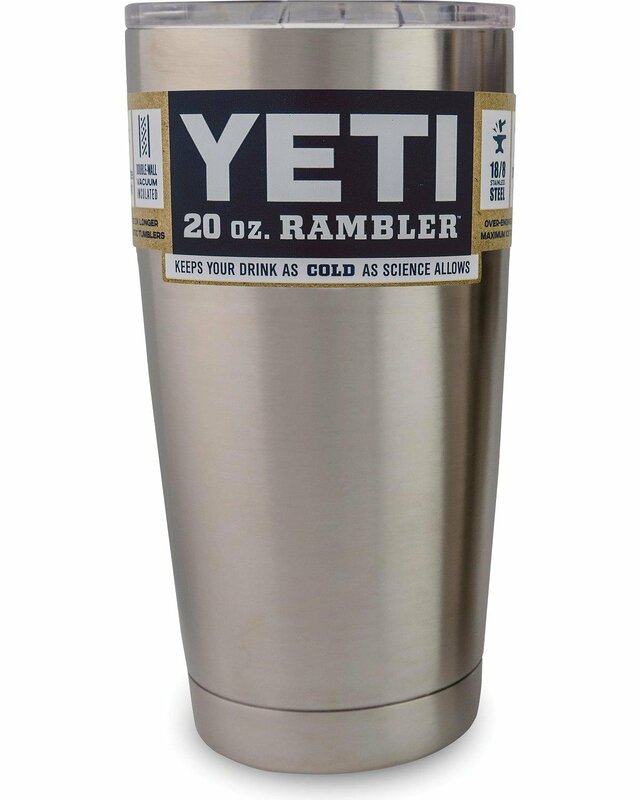 Yeti Coffee Tumbler I can count on two hands the number of expertly staged naps I've seen with perfectly manicured hands holding this tumbler while sitting parked in their car. Advertising at it's finest, am I right? This one actually wasn't for me but a gift for my husband for Valentine's Day. That said, I may just need to get one for myself now that he has one and probably won't want to share. I think it's safe to say I'm a fantastic target audience. Sheesh! Maybe I need to step away from snapping for a little while.. Your turn! What has the Internet made you do/try/buy lately? 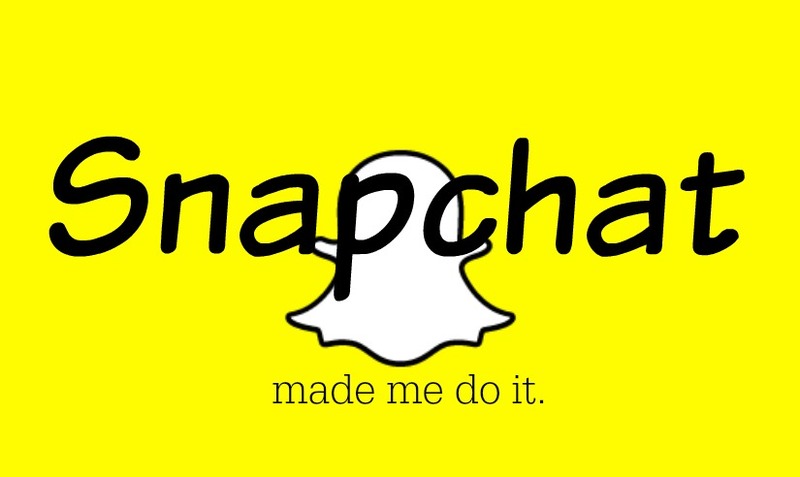 I would love to see a list of Snap-chatters to follow. I feel like I might be on the cusp of "getting" Snapchat, but find it difficult to find people to follow. I have a weekly debate in my head of "Snapchat is cool, I kind of get it" and "This is a waste of time, delete this app." Um, after seeing one of my favorite bloggers on Insta with a red tip french manicure- decided to try it myself. Love it.